The Sensitive Index (Sensex) of the BSE, that closed at 36,034.11 on Wednesday, opened higher this morning at 36,065.08 points. At the National Stock Exchange (NSE), the broader Nifty 50, which had closed at 10,793.65 on Wednesday, quoted 10,775.35 points in the morning, down by 18.30 points or 0.17 per cent. As many as 16 stocks advanced in the Nifty 50 index while 34 stocks declined. In the BSE Sensex 18 stocks including Coal India, NTPC were trading in red while 10 stocks including Yes Bank, ITC were trading in green. Yes Bank stocks were trading 21.44 per cent up in the early session. Key indices Sensex and Nifty succumbed to the final-hour selling pressure after trading in the green for the better part of Wednesday on account of easing inflation giving way to expectations of further rate cut. 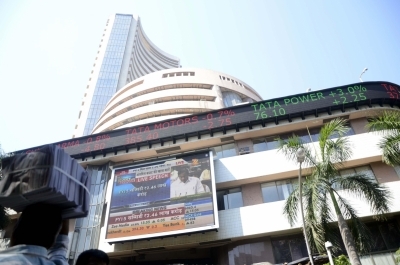 The Sensex was down by 119.51 points or 0.33 percent at the Wednesday's closing. In the day's trade, the barometer 30-scrip sensitive index had touched a high of 36,375.80 and a low of 35,962.68. The Nifty, too was up by 37.75 points or 0.35 per cent. On Thursday, Asian indices were mostly showing a negative trend. Japan's Nikkei 225 was quoting in green, up by 0.01 per cent while Hang Seng was down by 0.57 per cent and South Korea's Kospi was also down by 0.46 per cent. Sanghai Composite was also trading in red, down by 0.31 per cent. Overnight, Nasdaq closed in green, up by 0.08 per cent while FTSE 100 was also up by 0.81 per cent at the closing on Wednesday.